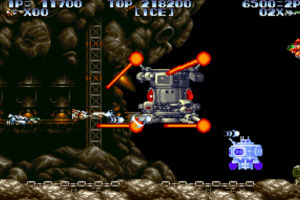 Power up! 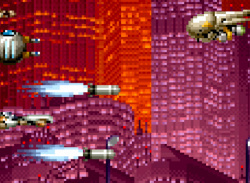 Go forth, units! 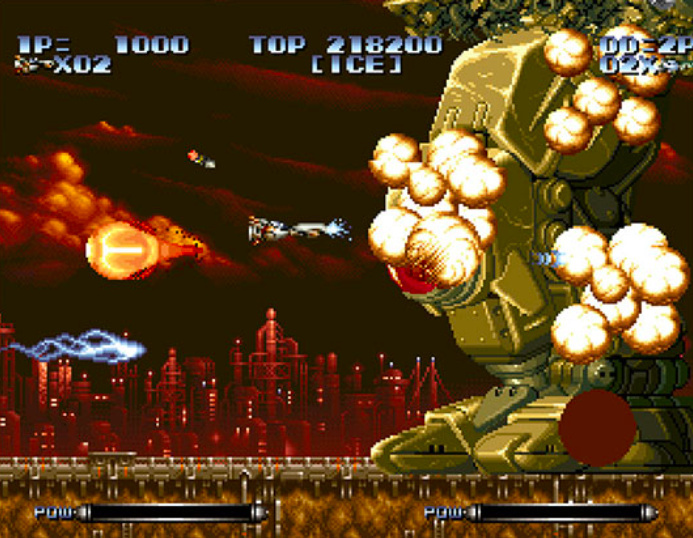 Take down the incoming enemies! 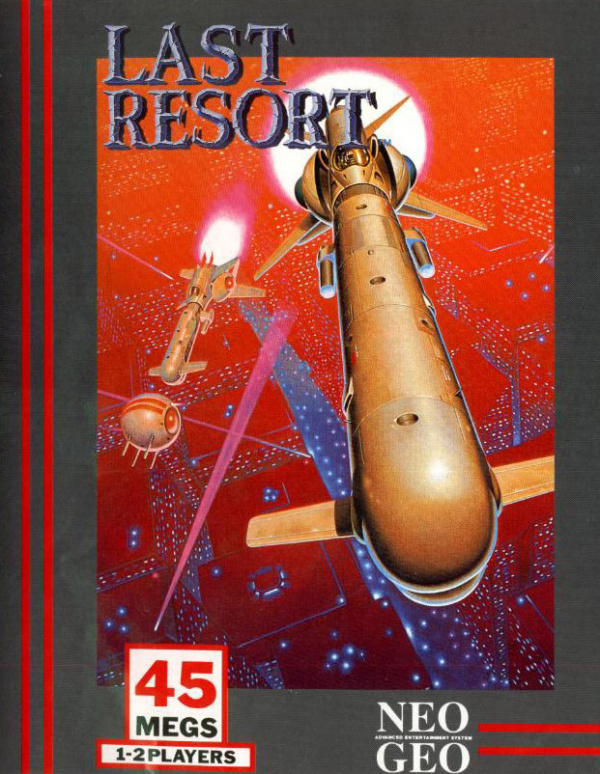 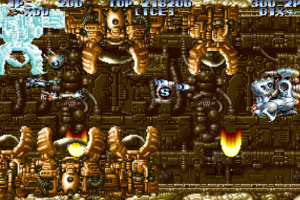 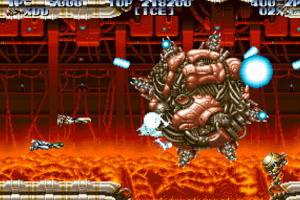 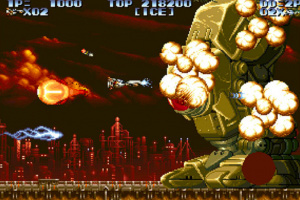 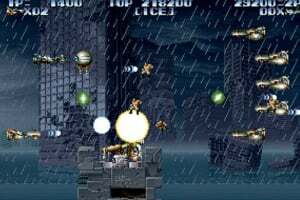 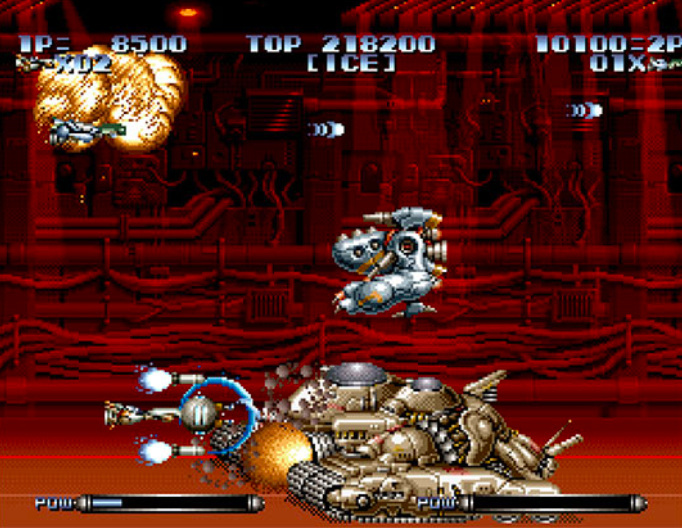 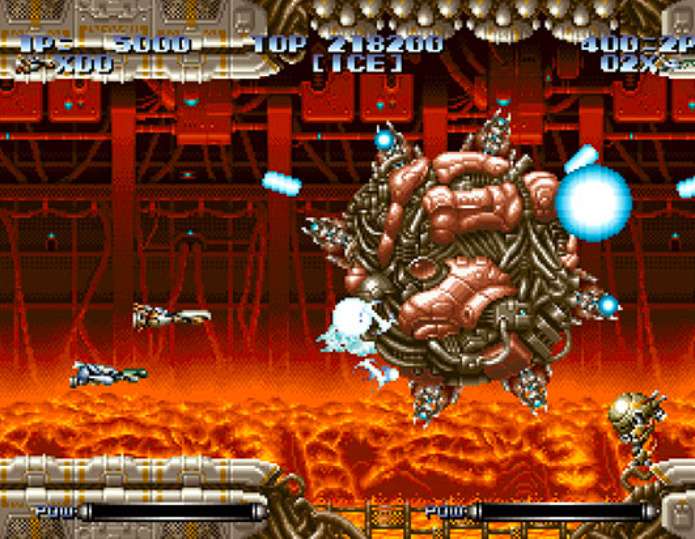 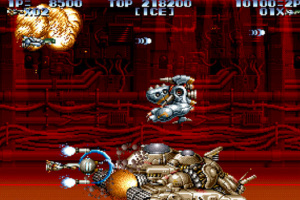 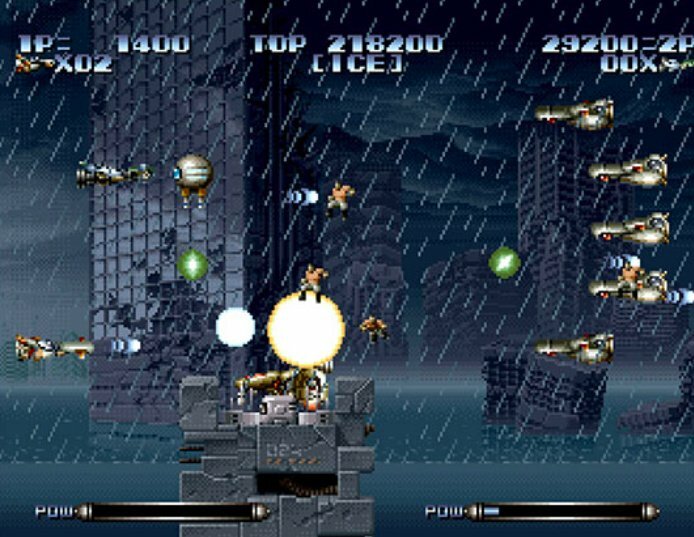 LAST RESORT is a shoot ‘em up game released by SNK in 1992. 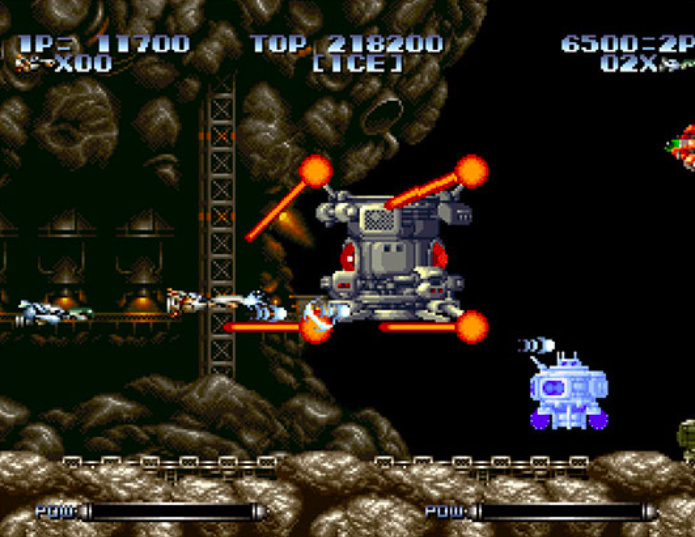 Players can use weapons such as laser, homing, or grenades which can be powered up as many as three times, along with a "unit" that can nullify enemy bullets and attack foes. 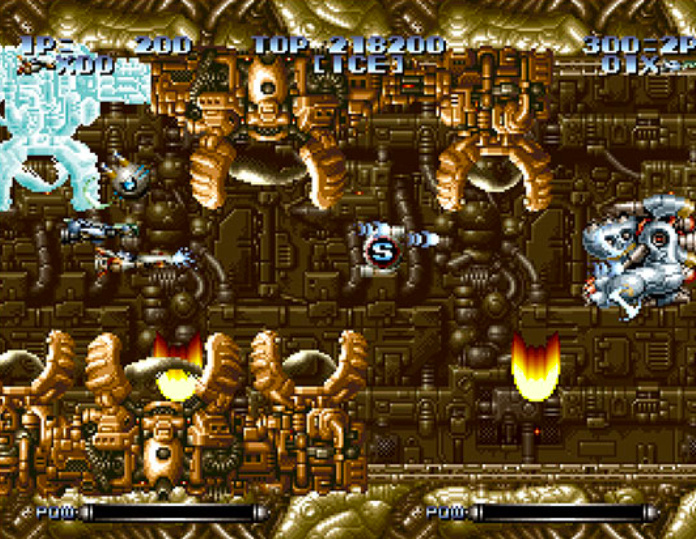 Using these abilities and many other attacks players will fight in order to win the war between robots and humanity.